It is a provocative paper arguing that Initial Public Offerings (IPOs) must simply be abolished by Adam Pritchard (“Revisiting ‘Truth in securities revisited’: Abolishing IPOs and harnessing markets in the public good”). He suggests that “companies bec[o]me public, with required periodic disclosures to a secondary market, before they [a]re allowed to make public offerings”. 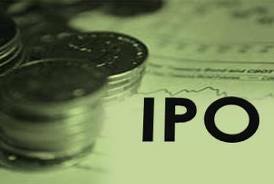 “No one believes that IPOs reflect an efficient capital market. In fact the evidence is fairly strong that IPOs are inefficient. IPOs are bad deals. IPOs are bad for companies, bad for insiders, and bad for investors. The only parties that clearly benefit from these deals are the individuals who service them: accountants, lawyers, and underwriters. Despite the provocative language, what Pritchard is referring to is simply the robust empirical result of short-term underpricing (which makes IPOs bad for companies and insiders) and long-term under performance (which makes IPOs bad for investors). Pritchard correctly attributes these problems to information asymmetry between issuers and investors. His solution is to create separate primary and secondary markets for private and public companies, and make the transition between them depend on (a) minimum size requirements and (b) acceptance of enhanced disclosure obligations. The primary and secondary markets for private companies would exclude retail investors. Retail investors would be restricted to public companies; moreover, public companies would have been seasoned in the private market before becoming public. During the seasoning period, would-be public companies would file annual reports and quarterly reports on the same lines as public companies. Price discovery would happen in the private secondary market (markets like SecondMarket and SharesPost) on the basis of these public disclosures. After the seasoning period is over, the company trades in public markets open to retail investors. Pritchard believes that the primary market for these companies should simply be the secondary market itself – so called “At the Market” offerings. Overall, I like these ideas as they have the potential to make the equity markets more efficient. The only thing that I do not like is Pritchard’s idea that the private markets can be opened not only to Qualified Institutional Buyers (QIBs) but also to Accredited Investors. I have been reading Jennifer Johnson’s paper describing the accredited investor idea as a Ponzi scheme run by regulators Fleecing grandma: a regulatory Pfionzi scheme .